Regulations set down by IMO came into action at the beginning of this month. These regulations involved firefighters radios used aboard vessels. As suppliers of these radios, it is important for us to inform our customers of this regulation and also to assure you that all equipment being supplied to you actually comply with these standards. We are pleased to advise you that ALL radio’s sold on AMI Marines NEW website comply with the imposed IMO regulations. We can meet your fire-fighters requirements for SOLAS amendments. Posted on July 31, 2018 July 31, 2018 Categories MaritimeTags IMO RegulationsLeave a comment on Does Your Radio Comply With The New IMO Regulations? SEATTLE — An endangered orca that spends time in Pacific Northwest waters is still carrying the corpse of her calf one week after it died. Jenny Atkinson, the museum’s executive director, says the orca was still carrying her dead calf Monday afternoon. Like every other foreign deal done by a Chinese firm of late, it has been wrapped into China’s increasingly all-encompassing Belt and Road Initiative. In Zimbabwe, freedom of expression has long been curtailed or monitored by various means. In 2015, Mugabe accepted a gift of cyber surveillance software from the Iranian government, including IMSI catchers, which are used to eavesdrop on telephone conversations. In 2016, he cited China as an example of social media regulation that he hoped Zimbabwe could emulate. Posted on July 27, 2018 August 2, 2018 Categories Cyber Security, Surveillance & Information GatheringTags Cybersecurity, Government PoliciesLeave a comment on Zimbabwe is signing up for China’s surveillance state, but its citizens will pay the price. Two of Britain’s top cyber security experts have warned against ignoring Huawei, saying banning the Chinese telecommunications giant is not an option for the West. 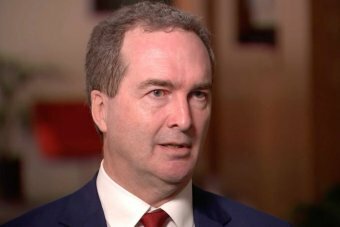 “In the future there will be lots of technologies that we need where the best provider in the world and the best technology is Chinese,” said Robert Hannigan, the former director of Britain’s intelligence and security organisation GCHQ. “What are we going to do about this? The answer, according to Mr Hannigan and Nigel Inkster — a 30-year veteran of the Secret Intelligence Service (MI6) — is to accept that with risks come rewards. “What we need to do is look at this at the broader strategic context of who controls and dominates these technologies at a global level in the 21st century,” Mr Inkster said. Huawei entered the British market in 2001, and by 2005 had signed off on its first UK contract with BT (formerly British Telecom) as it embarked on a multi-billion-pound upgrade of its network. “I think those in the intelligence and security community were from the outset aware of the problem that this relationship could cause,” Mr Inkster said. “But one has to bear in mind that … this was taking place in a different era, we were still in a kind of end-of-history moment. In 2010, the Huawei Cyber Security Evaluation Centre (HCSEC) was created — otherwise known as The Cell. 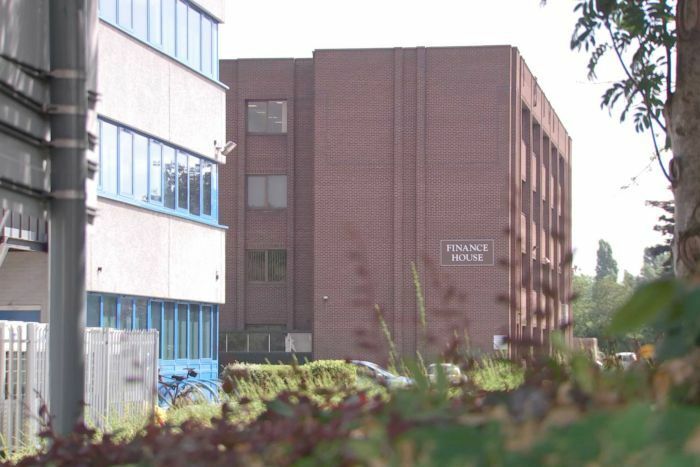 In a nondescript brown brick building in an industrial site 90 minutes north of London sits a team of cyber security experts, employed by Huawei and overseen by the British Government. 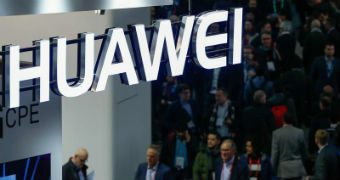 Political editor Andrew Probyn takes a deep dive into Huawei’s history to unpick the anxiety within the Australian intelligence community. Positions advertised for the Banbury facility say Huawei is seeking those looking to build a “rewarding career in cyber security”. Their job is to ensure the integrity of Huawei’s products, which include equipment used across the UK’s fibre-optic network. It is a model that has been suggested for Australia, to ease concerns about security to the critical national infrastructure. But the July annual report from the board that oversees The Cell raised concerns, using language not seen in its three previous reports. “Identification of shortcomings in Huawei’s engineering processes have exposed new risks in the UK telecommunication networks and long-term challenges in mitigation and management,” the report said. Its concerns were sent to the British Prime Minister’s national security adviser. 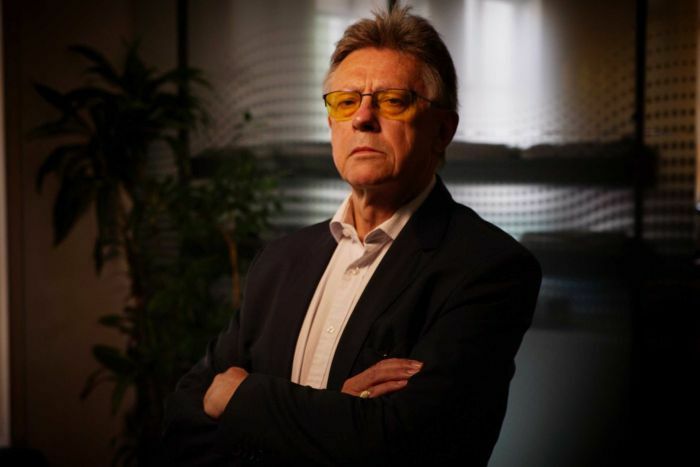 “It looks like a bit of a warning shot has been fired by the UK Government,” Mr Hannigan said, who until last year oversaw the board that issued the report. “It’s [The Cell] working up to a point, is the way I’d put it. Huawei welcomed the UK report and the feedback. “It confirms the collaborative approach adopted by Huawei, the UK Government and operators is working as designed, meeting obligations and providing unique, world-class network integrity assurance through ongoing risk management,” a spokesperson for Huawei told the ABC. Huawei insisted it was under more scrutiny than any other telco and The Cell had been proven as the best model for compliance. But both Mr Inkster and Mr Hannigan agreed there were risks to dealing with Huawei. “Huawei has relied very substantially on Chinese Government investment and technological assistance to develop rapidly to the point where they are,” Mr Inkster said. “And if the Chinese Government ask them to do something, they’re not in the position to refuse. “The challenge for those who simply want to ban it is, what’s the alternative?” Mr Hannigan reiterated. “The challenge for those who think they can manage it is — are you kidding yourselves? Ships to be built locally. BAE beat Italian and Spanish rivals to win a large slice of the £19.6bn ($25.7bn; A$35bn) spending programme. The ships will be based on anti-submarine frigates that BAE is building for the UK’s Royal Navy. However, the new warships will be built in Australia by a local workforce. BAE’s Australian arm said the construction of the ships locally would make a significant contribution to Australia’s economy “creating thousands of jobs, supporting new industries and boosting the national supply chain for decades to come”. “We are proud to have been selected as preferred tenderer to provide the Royal Australian Navy with a world-class ship, equipped with the latest technologies and designed specifically to meet its needs,” BAE Systems Australia chief executive, Gabby Costigan said. UK Prime Minister Theresa May said the deal was also an “enormous boost” for the UK economy and reflected the government’s strategy to “build on our close relationships with allies like Australia” as the UK prepares to leave the EU. It is the first export of a British design for new-build frigates since the 1970s, the UK government said. The ships to be built will be based on BAE Systems’ Type 26 frigate, and will be called the “Hunter class”. Production in Australia is expected to commence in 2020. Climate change: Climate change is impacting ice hazards for shipping, freeing up new trade routes in some areas, while increasing the risk of ice in others – over 1,000 icebergs drifted into North Atlantic shipping lanes last year, creating potential collision hazards. Cargo volumes on the Northern Sea Route reached a record high in 2017. Emission Levels: Estimates suggest that the shipping sector’s emissions levels are as high as Germany’s, prompting a recent pledge to reduce all emissions by 50% in the long-term, alongside existing commitments to reduce sulphur oxide emissions by 2020. As the industry looks to technical solutions to achieve these aims, there could be accompanying risk issues with engines and bunkering of biofuels, as well as operator training.